She also says Spectra has offered less than they gave other local businesses, and she’s having difficulty finding appropriate legal representation. 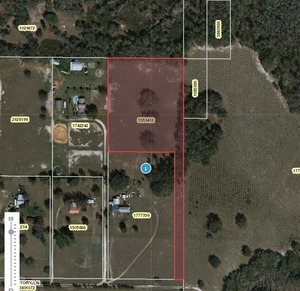 Florida’s promise of paying for eminent domain attorneys may not be all it’s cracked up to be. The Sabal Trail pipeline feeds the proposed Liquefied Natural Gas plant in Indiantown, Martin County, plus many more on the drawing board (2 in Jacksonville, one in Titusville and another in Hialeah. The purpose of the pipeline and the LNG plants is for export of our natural resources. While a few get rich, the many suffer … LNG is slated to be transported on our rails … how the Village people will howl when one or more of those LNG tank cars become “breached,” 90% methane gas mixes with the air, ignites from any source 5 miles away – now we will have the world’s largest Roman Candle! Oh, did I mention no local fire dept. is equipped to put out this fire – a blaze than burn 40 times hotter than a normal natural gas fire and, and, wait for it – when water comes in contact with LNG, an explosion will occur. You think you have trouble now … wait for LNG to hit the rails and to be trucked on our highways.